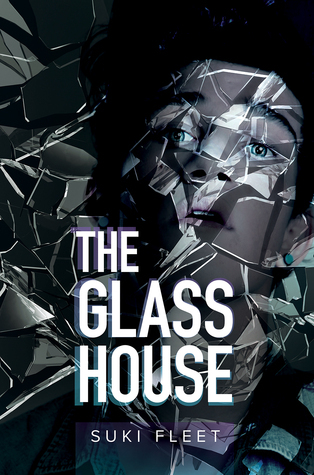 The Glass House is your fourth major release since last fall. Congrats! How is it different from your other novels? My writing is quiet introspective so all my stories have that in common. With The Glass House, despite its subject matter—it deals with the aftermath of abuse—it isn’t about suffering. Sasha has suffered and I guess I wanted to wrap him up and give him some love. We’re big fans of “show me, don’t tell me.” Lucky for us, you’ve nailed the “showing.” What’s your trick for pouring so much emotion into the set-up/dialogue between your characters? Thank you. <3 I’m really bad at dissecting my own stories, but as I’m writing I really have to feel it. Funnily enough in The Glass House, I have Sasha say something similar when Thomas asks him how he comes up with his ideas for his sculptures and he doesn’t know. They just come from inside him. The “texture” you incorporate into The Glass House, including smooth/sharp edges (glass), and the concept of imperfection by way of both characters’ “bowed” beds…it resonates throughout the story. How important are details like that in setting tone? I love this aspect of writing. It’s my favourite. Even though I tend to not to consciously focus on setting tone, when I write I generally have themes/motifs in my head and bringing these out and seeing how my subconscious makes them all connect gives me the greatest amounts of pleasure and satisfaction. And as a reader too, these are the details that thrill me about writing. I remember studying The Handmaids Tale by Margaret Atwood for A level English. Our teacher had us pick out all the imagery for blood and snow on two or three significant pages and I remember being amazed at the richness of the language and wondering how the hell Margaret Atwood could write like that. I guess that’s always in the back of my mind. Your books aren’t for the emotionally faint of heart, but you’ve said you generally try to let your characters find happiness at the end. Why are happy endings important? Do you see yourself ever writing a not-so-happy-ending? Happy endings are important to me. I’ve read a lot of gay fiction where I’ve been incredibly let down and disappointed by the endings (obviously not romances). As a reader I like to feel there is an edge—the possibility of things not turning out okay but ultimately, secretly, knowing they will. So I guess sometimes I bring that aspect into my stories (with This is Not a Love Story, definitely). As to whether I’ll write something without a happy ending, maybe one day. A lot of my favourite books don’t end happily. It depends on the story. Of all the books you’ve written—published or not—who’s your favorite character and why? Probably a character I have called Sam. He was the first character that ever really came to life for me, and his story was the first I ever finished. It’s called Wildflowers and I will rewrite it and publish it at some point. Like Romeo, he doesn’t speak, but it’s out of choice. He’s a little more lost than most. Sasha (from The Glass House) and Angus (from Falling—my next release) have elements of Sam’s character. Music, a favorite writing location, people you meet/see: what’s your most powerful muse when it comes to writing, and why? Music is great for mood/tone. I can’t listen to anything with lyrics unless I know that song really well—too distracting. I’ve written so much to “Boards of Canada” (haunting melodic ambient music). But turning the internet off and just writing is the best way for me to achieve anything. I’ve learned to take the moment when I can. I write best when I take my time. That way I can focus on depth and making my writing richer. This is Not a Love Story took about 18 months in total (with a break), though I was writing two other stories alongside it. Innocence took about 8 months. The Glass House came from nowhere and took 3-4 months. Can you share something about yourself that most people don’t know? Suki Fleet grew up on a boat and as a small child spent a lot of time travelling at sea with her family. She has always wanted to be a writer. As a kid she told ghost stories to scare people, but stories about romance were the ones that inspired her to sit down and write. She doesn’t think she’ll ever stop writing them. Her novel This is Not a Love Story won Best Gay Debut in the 2014 Rainbow Awards and was a finalist for LGBT Children’s/Young Adult at the 2015 Lambda Literary Awards. At seventeen, Sasha is a little lost and a lot lonely. He craves friendship and love, but although he’s outwardly confident, his self-destructive tendencies cause problems, and he pushes people away. Making sculptures out of the broken glass he collects is the only thing that brings him any peace, but it’s not enough and everyday he feels himself dying a little more inside. Until he meets Thomas. Thomas is shy but sure of himself in a way Sasha can’t understand. He makes it his mission to prove to Sasha that he is worthy of love, and doesn’t give up even when Sasha hurts him. Little by little Sasha begins to trust Thomas. And when Sasha is forced to confront his past he realises accepting the love Thomas gives him is the only way to push back the darkness. “I have a fantasy too,” Thomas said tentatively. I wanted to say oh God, anything, even though I wasn’t sure I could mean it. Sparkles of light were flicking up my spine at Thomas playing my game. I waited. He ran the fingers of his free hand against the colored concrete wall and stared at the smooth steps. I smiled, curious. It sounded like it a fantasy. I bit my lip, swooning a little at the sweetness of it. Kissing was really intimate. I’d thought about it a lot. I could see why it tuned him on. The uncertainty in his voice was like feathers on my skin. My heart was beating way too fast now. Thomas gave me a scandalized look. And I laughed on and off until we made it to the flat and his fantasy played out in the slick heat of our lost breath. Thomas seemed to be okay with this sort of breathlessness. I leaned against my closed bedroom door, my hands resting above my head, slowly giving myself over to him, breath by breath, heartbeat by heartbeat. Thank YOU for stopping by and for *ALL* your gorgeous books/words! Happy, happy book birthday to TGH! YAY!!! Loved this interview. :) Can’t wait to read the “showing not telling” in Suki’s stories. Thanks! Thanks Sue! Suki made it pretty easy–she’s brilliant. :) I’m looking forward to hearing what you think about this book! Great interview! Love your writing!! This entry was posted on April 16, 2015 by Jenni in Contemporary, YA / NA and tagged blog tour, Harmony Ink Press, interview, new release, Suki Fleet.